“Ha kicsike vagyok is” (Even though I’m little) is a one-hour music and dance program for children in kindergarten or primary school either as part of a folklore class or a dance house. “Koncert velünk” (Concert with us) is a one-hour selection of folk music of the different nationalities in the Carpathian Basin. The show is essentially based on the content of our first record but also on our ever-growing repertoire. “Addig megyek, addig járok” (I will go so far) is dedicated to display the colorful culture of the Carpathian Basin. 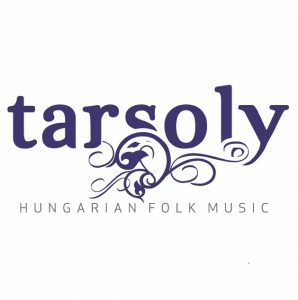 This program, which we regularly perform both in Hungary and abroad to audiences from all over the world,is dedicated to provide additional verbal information on the music heard and the dance seen. We offer it in English and German. Dance houses are a major part of the band’s activities. At these events we play specifically Hungarian folk music and can also cater for special requirements. Playing at a variety of private events from company parties or family gatherings to more specifically themed events is also part of the offer. Working with dance ensembles has been part of the band’s activities from the very beginning. We undertake the musical arrangements of choreographies, rehearsals with the groups, and accompaniment of the dance performances.